Today... today I want to be home. When I think of the word park, may things come into my mind. How my hubby likes to park himself. As in, he's not a fellow who likes to move He likes to settle into a place and stay there. But what it really brought to my mind once I let my thoughts settle is this. The first year we had an international student stay with us I brought him over to visit with a friends family and we went to the park to let the children play, and my friend grabbed my student off to one side and started talking with him, she understood his native tongue more than I. As we were talking on the way home and our student had been grabbed up by one of the children, she started talking about how he was a hurt soul. How she was unable to get him to talk about what happened to him, but how she knew how much he needed God. I remember feeling stunned that she had learned so much about him in 10 minutes. And resolved to talk with the young man more, despite the language barrier we had. We had a good time together. I don't know if we ever managed to touch his heart for the Lord, but that 10 minutes in the park changed everything. This is part of Kate's word prompt. Check it out eh? Free writing for 5 minutes, sharing and encouraging in a good group of folks. 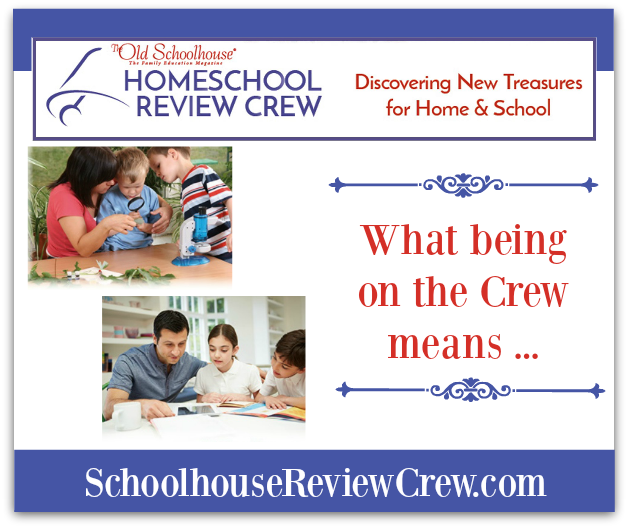 Recently I wrote aboutwhat it means to be part of the Homeschool Review Crew. As I was considering what today's word challenge meant to me (neighbour) I thought about some of the relationships I have with people on the crew. There's Kym, who is a displaced Canadian living south of the border. Her children are older, and she's a huge voice of experience. 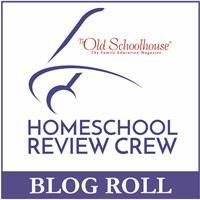 She blogs over at Homeschool Coffeebreak. There's Lori who blogs over at At Home: Where life happens. She often blogs about her three giggly girls. She dwells far far away from me, but we often chat on facebook and she's just a sweet lady I'd love to meet. I feel like I've known Wren for ages and ages, though we don't often talk. We've guest posted for each other, and encouraged one another over the years. A sweet lady with a good heart. You can find her at FinchWren, a blog she shares with her sister. And Carol who blogs over atHome Sweet Life, is so often one of the first people on the prayer board, responding to prayer requests. She has a heart big for the Lord and is a great person of encouragement. To learn what it takes to become part of this great team GO HERE. If you want to join the team, the application can be found here. Tell them I sent you eh? Oh be careful little eyes what you see.. It's not a little thing you know. the very best for us. Granted, I never moved as a child. WOOT WOOT! That would have been hard as a child, with the type of person I was back then. BUT as adult I learned to embrace moving. New things to experience, new people to meet, new packing and unpacking to do, finding things I thought I had lost, discovering things I REALLY truly didn't need, the joy of having a yard sale. Therefore, generally when I see the word move, I think positive thoughts. Lately the word move has been filled with some trepidation. Our church is closing. This means my pastor hubby needs a new job. Moving is a good thing as it means a new start. But it also means...ACK!!!! Where are we moving to? When will it happen!!! So much to do and it feels like so little time!!! I need to remember that God ever has everything in his control. I can know that I can take it one day at a time and it will all, somehow, work out. Has it come yet? Mom? Has it come yet? Recently my lad ordered something in the mail (which I am not allowed to tell you about),and the estimated delivery date was pretty large...sometime between Oct 4 and 26... he ordered it the beginning of September. And boy oh boy...that's a long time to wait if you are an eager 11 year old waiting for something that you really really want to have arrive. "MOM! How many days yet?" was the daily question. Until finally.. "HEY LAD... look, I think this is for you. Want to check?" And then oh joy oh joy...it arrived!!! Makes me think of how happy I am whenever I get a notification that a friend has left me a message in my inbox, or I've received an email from a loved one, or even snail mail. Ah...but that comes so rarely these days...and then I'm left with...what do I do with this now? Keep it? Toss it? With email...I can save it and it's there forever and takes up no space eh? But I love it regardless of what form it takes. Letters are communication...a note from me to you. hmm... communication eh? Like... God's word is a letter to us, a form of communication. And prayer..that's like talking, talking is communication, communication that is between you and God. Just as a letter brings joy to the reader, don't you think prayer brings joy to God? Should do more of both don't you think? Visit Kate Motaung to see what others have to say about this week's word prompt MAIL. Five minutes of free writing, not editing, just writing. Link up, Encourage the person before you. It's a good time held by all. having knowledge or perception of a situation or fact. For the couple of weeks I've been studying the Book of Ezekiel. Learning about how as a prophet he was God's mouth piece to the people but he had to go through a whole lot of physical pain in order to bring God's message to the people. In the beginning of Ezekiel, we find these words "the heavens were opened". And with those words, Ezekiel's life was forever changed. I haven't gotten far enough into Ezekiel to see if what he did matters to the people of Judah and Israel. What Ezekiel saw though... God's glory forever changed his life. He wasn't necessarily happy about it, but he still did all that the Lord required of him. He was called the "Son of Man" and he went through so much (and that's only in the first eight chapters) and I honestly can't see a fellow doing all that he did unless he was profoundly changed. He sat in bitterness for a week and then got on to it. From lying on his side, to shaving his head bald and building a siege works. Ezekiel was kept busy.... and it all started by God's glory coming down out of the sky. Makes me wonder....how has God's glory changed my life? Can people see the change? This is a word my lad came up with for an alternative for me to the word Post-it that simply ground me a halt. When I think of the word question I think of laying down on a bed with a lad as he prepares for a time of play with his mom. Of reading books and having a lad break in with "tell me if I am wrong mom".. and then proceeds to tell me what he is thinking about what we were just reading about. It is often expressed as a question, but sometimes comes out as a statement with the qualifier of wanting to know if he's right. Sometimes the interruptions bother me...especially if I feel like I am running short on time, but I remember his thoughts and comments. I know that as he gets older and doesn't want to play with his mom any more that I will miss our reading and playing time. And I will mostly miss the question of "Correct me if I am wrong mom, but is what I am thinking right?"